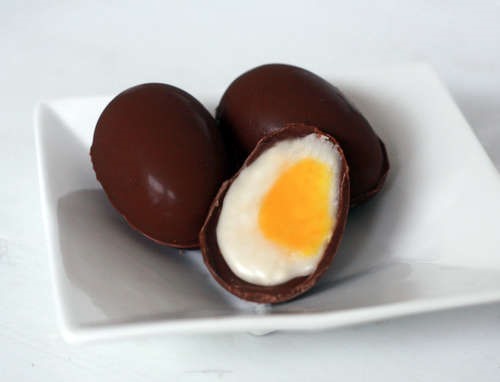 Has the famous Cadbury Creme Egg recipe finally been cracked? There's only one way to find out! One delicious, delicious way. If you'd like to try the recipe for yourself, you'll need a little corn syrup, a little butter, some confectioner's powdered sugar, a teaspoon of vanilla, a dash of salt, a few chocolate chips and, for the yolk, a bit of yellow food coloring. Get started now, be an old hand by Easter!